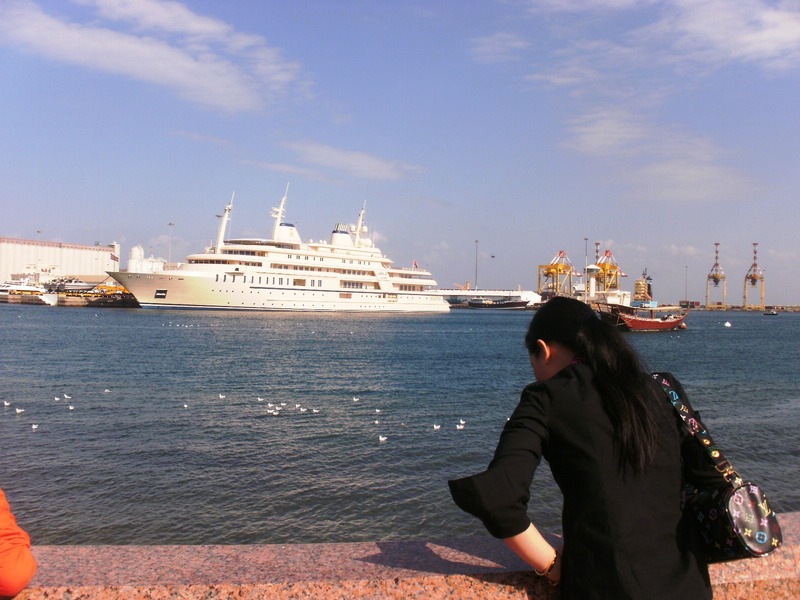 Welcome to Oman, sis! My sister has arrived already. Thank God He took care of everything for my sister’s visit. My manager allowed me to take 10 days vacation despite of the busy days at work. What a perfect Holiday for both of us. We did nothing but to enjoy, having fun making tours. We got up early to catch the Grand Mosque visiting hours (08:00am-11:00am). We hired a Hotel taxi to drive us around the City. The driver took us to the grand Mosque. Wow! The mosque is so big and so beautiful, with awesome decorations and designs. 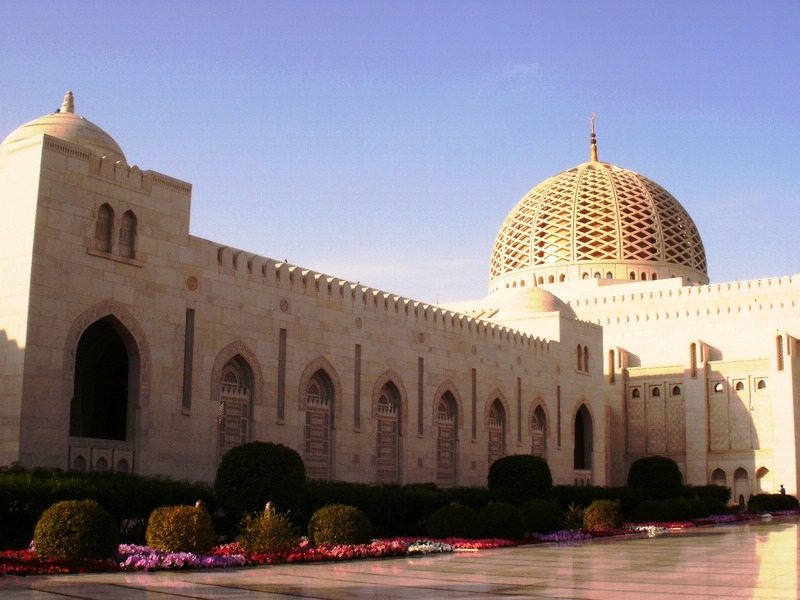 It is the biggest mosque in Oman. Right after from grand mosque, we drove through to Sultan’s Palace, to forts, to Al Zubair Museum, and lastly to Mutrah corniche and souq (a tourist market). We ended the tour with a lunch in the restaurant and went back to our accomadation. Coastal tour, dolphin watching and snorkeling was our trip for the day. 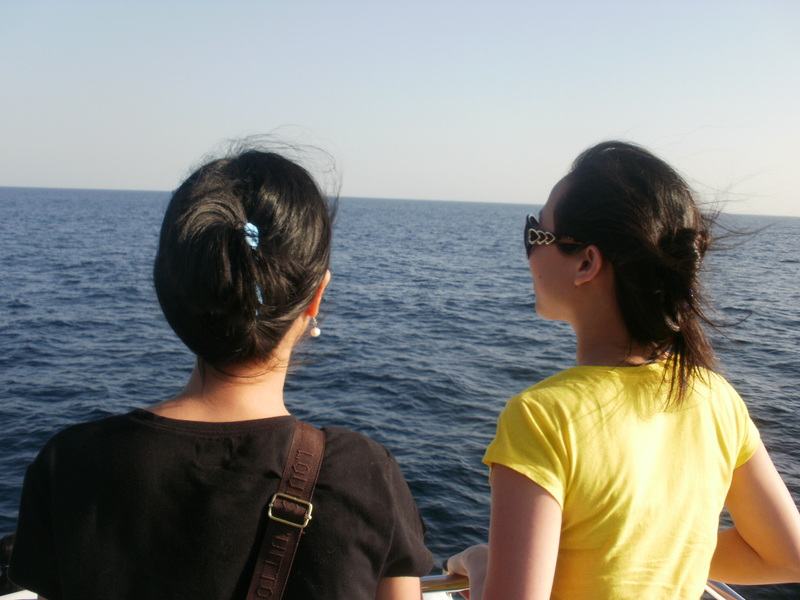 Me and my sister were a little bit disappointed of this trip coz aside of our camera’s battery got empty after sometime, we were not lucky enough to see many dolphins as what we were expecting but unfortunately it’s by chance to see them. We saw one very far away from us. But on the other hand, we didn’t expect that we will see lots of overlooking views from the ocean (forts, hotels, mountains & etc). 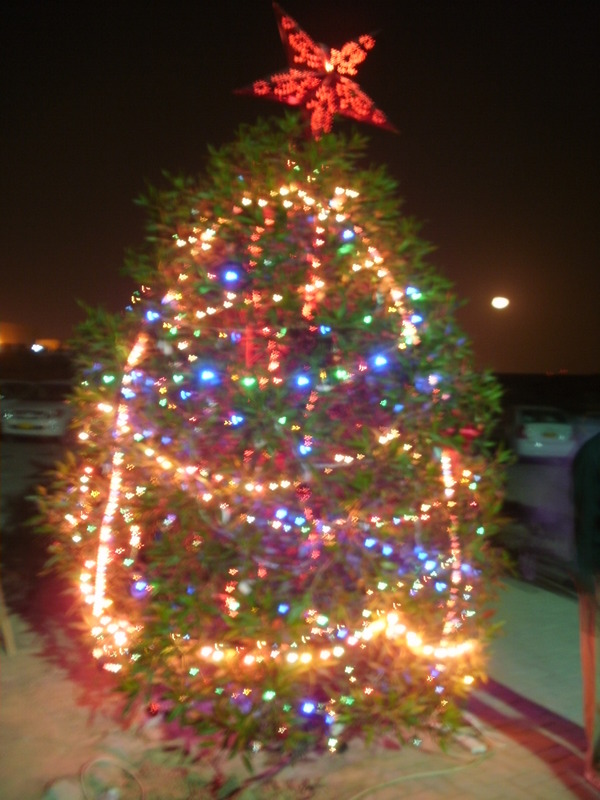 It’s Christmas time in the City. 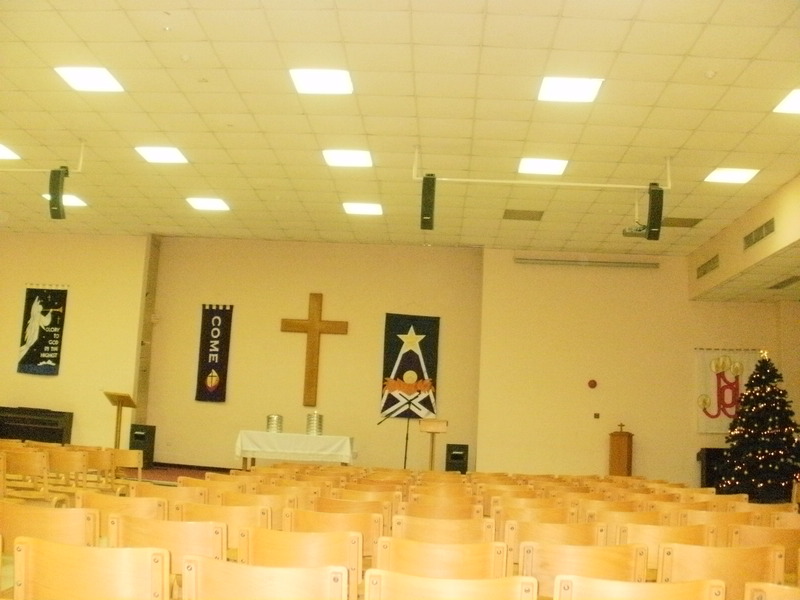 Oman is a Muslim country but still there’s churches for Christians to go. 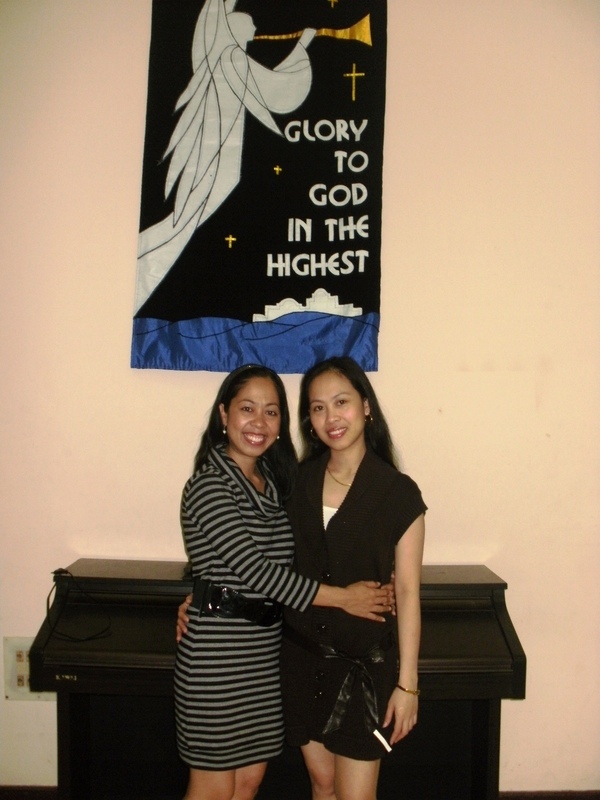 Me and my sister celebrated Christmas Eve at Saint John Paul church together with some of my colleagues. Everyone was shivering for the coldness of the night, we’re all wearing short dresses and none of us brought a jacket. On the other hand, I was so happy and thankful to God for making one of my dreams come true. I really thanked Him for the wonderful time He gave us. It’s a blessing indeed. It was the most tiring but more exciting tour. We hired two tour guides to drive us and make the tour with us. 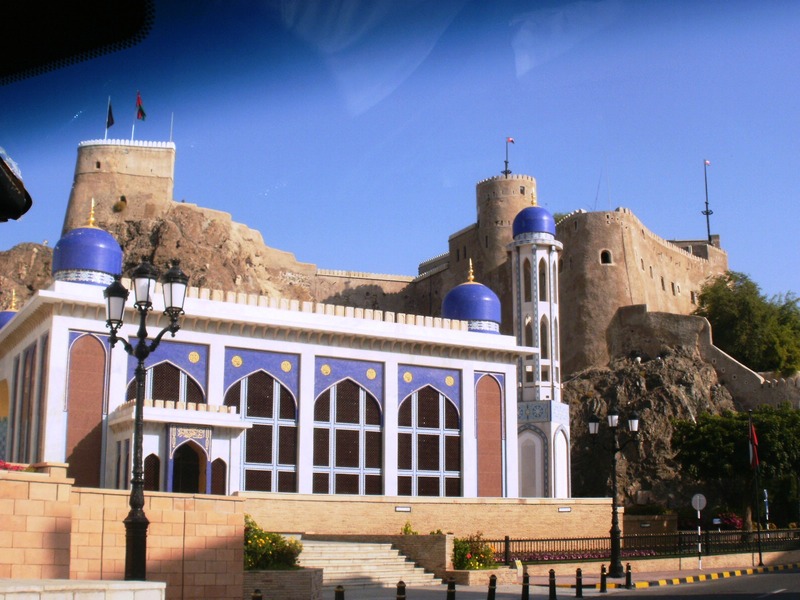 Nizwa was the capital of Oman before in the 6th and 7th centuries. 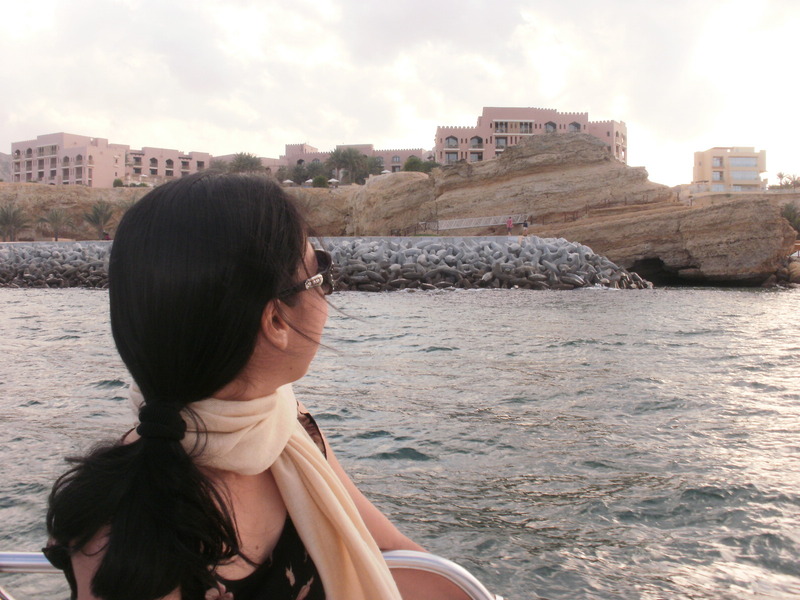 It is about 165 km or one hour and half drive from Muscat the current capital city. Nizwa remains one of the most popular tourist attractions today with its old and historical buildings, Forts and Mountains. 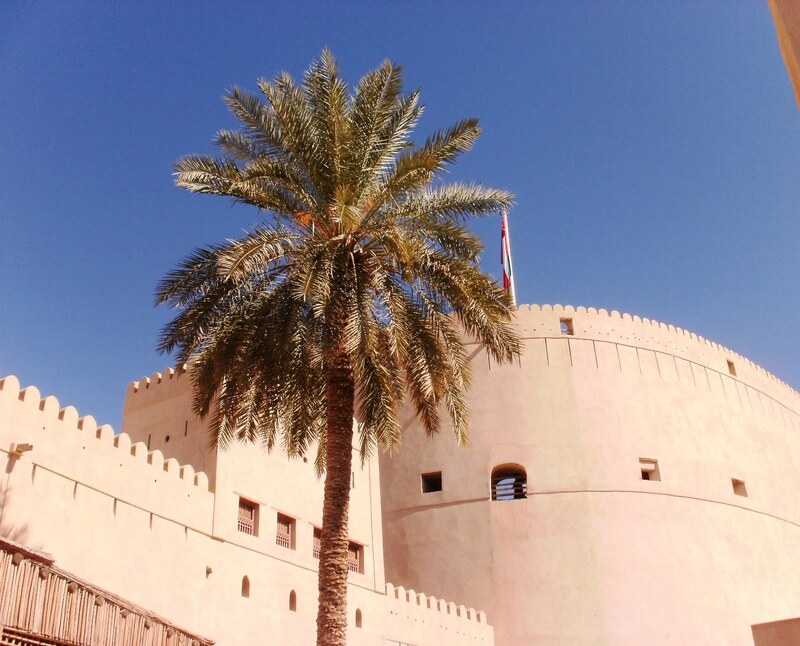 We first visited the Nizwa Fort. It was a very huge and amazing fort. After seeing the entire fort directly we proceeded to Mt. Tanuf, then to Falaj Daris (a water irrigation from the mountain that supplies water to the entire village). Half day was over. For a while we stopped and recharged our energy by having lunch at one of the famous Omani restaurants in Oman “Bin Ateeq Restaurant”. 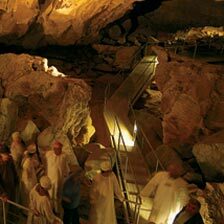 After we get full, we drove to Jabrin Castle then lastly visited “Al Hootah Cave”. It was whole day of fun. I really enjoyed it. Our tour guides were so very good and kind. The service we got from them was more than the price we paid for. Job well done! Now who will tell me it’s not the best holiday ever?